Suction pool cleaners are the most popular type of pool cleaner on the market due to price and availability. The term “you get what you pay for” most certainly applies to automatic pool cleaners, however, at The Pool Shoppe, we only carry the best suction cleaners available on the market! Most of our cleaners have been in our line-up for over 20 years and we support our products with a fully stocked parts department for your convenience. In most cases, suction pool cleaners hook up to your suction line via your pool’s skimmer. They install much like your manual pool vacuum using either a suction plate that covers the skimmer basket or directly into the bottom of the skimmer. Some pools are equipped with a dedicated suction line on the pool wall much like a home’s central vac system. Suction cleaners work on the same premise as a manual vacuum by drawing debris into the filter, however, what makes the units move around on their own is what makes each type of cleaner much different from another. Suction cleaners are often random and do take anywhere from 4-6 hours to clean 85-90% of the pool depending on the size of the pool. Because they are hooked up to the pool’s skimmer, keep in mind that the pool’s surface is not being skimmed during cleaning time. Hayward’s NEW Aquanaut 200 & 400 suction pool cleaners are designed with unique patented technologies to deliver a thorough and reliable clean for pools of different shapes, sizes, flow rates and debris types. Available in two or four wheel drive models, this cleaner has robust tire treads for enhanced wall climbing and adjustable skirts to avoid obstacles. Its patented self-adjusting turbine vanes ensure maximum power at any flow. Unlike other suction cleaners, the Aquanaut can function on low-speed, making it extremely energy efficient and ideal for variable speed pumps. Hayward sets the standard for high performance cleaners and they did it again with the Navigator V-Flex. 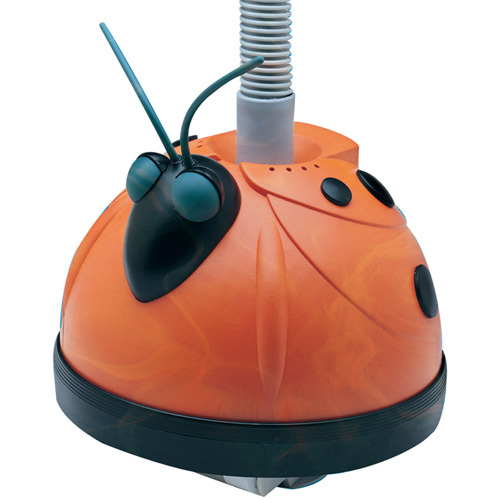 Hooking into your pool’s circulating system, this “Floor Specific” vacuum delivers more power, reliability and performance than ever! 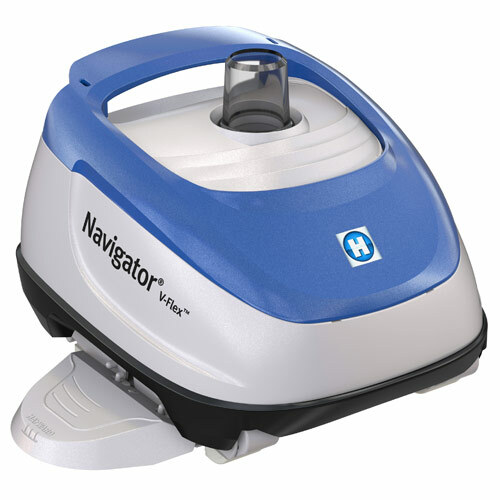 Equipped with patented V-Flex variable vane turbine technology, Navigator V-Flex can pick up larger dirt and debris more effectively than any other cleaner on the market for peace of mind of clog-free cleaning. It maximizes suction power even at lower flow-making it the perfect partner for use with variable speed pumps. Its unmatched patented SmartDrive® programmed steering determines the most efficient cleaning path around any pool and assists with cleaner maneuverability for the most reliable, complete pool coverage. Some say, once you own a Kreepy – you’ll always own a Kreepy! 90% of our Kreepy Krauly sales go to those customers who owned the Kreepy generation before this one. They are one of the original units to enter the auto cleaner market and are still going strong. Most cleaners on the market today look much like a Kreepy Krauly with there long body and round pleated seal. However, the Kreepy Krauly will always be the most advanced of the “random” cleaners on the market due to it’s complex design. The Kreepy uses a “hammer” mechanism which, when with applied suction, flips back and forth between two drive shafts. This motion of alternating water flow between drive shafts, causes the Kreepy Krauly to move – you always know that your Kreepy is moving by it’s signature “clicking” sound that every Kreepy owner recognizes. 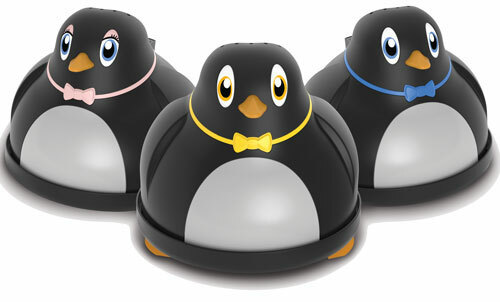 The benefit of this dual drive tube is that it maintains constant flow of water through the pool pump. Other designs with only one drive tube requiring a diaphragm, temporarily starve the pump for water to enable the cleaner to move. These diaphragms are a very common replacement part as opposed to the Kreepy’s hammer which is virtually indestructible! 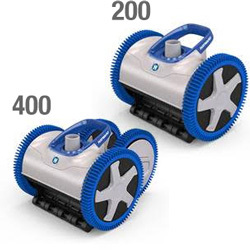 These attractive little cleaners operate from your aboveground pool’s existing filtration system and feature Hayward’s exclusive SmartDrive® Technology to ensure the cleaner doesn’t miss a spot. 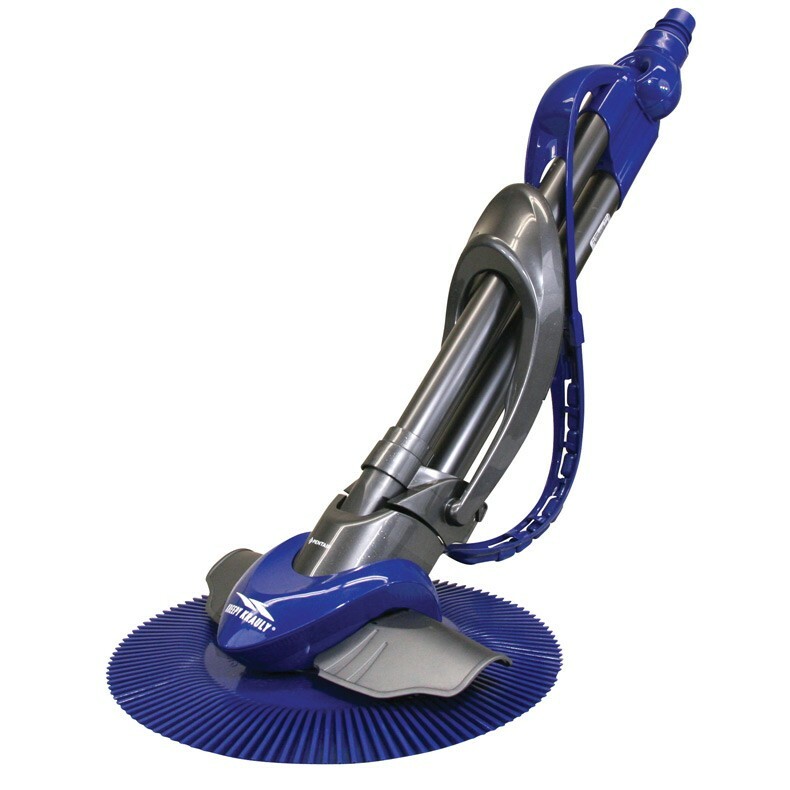 Its advanced contoured head design and slotted santropene shoes allow this cleaner to move across the pool floor in minimal time.